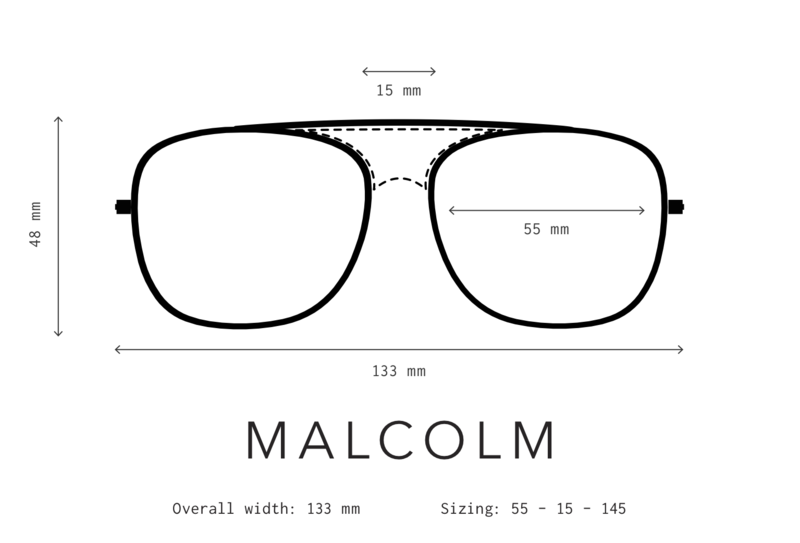 The Gold Standard: Malcolm No Middle 13 features standard grey g15 or polarized grey lenses. The wire frame is a polished gold and temples are polished burl acetate. The gold ceramic nose pads are hypoallergenic and super gold metal side inlays complete the luxe look.